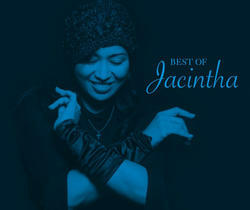 (SACD-HYBRID) Jacintha recorded her first album for Groove Note (GRV1001 Here's To Ben) in 1998. Her latest and sixth release, Jacintha - Jacintha Goes To Hollywood was released in mid-2007 and marks ten years with the Groove Note label, which we figured was a good enough excuse to release this first ever collection of the best performances from all her albums. Tracks include Danny Boy, The Look Of Love, Autumn Leaves, Boulevard of Broken Dreams, Something Cool, Light My Fire, O Ganso and many many other great sounding tracks. Almost 75 minutes of non-stop Jacintha. Will play on regular CD player.